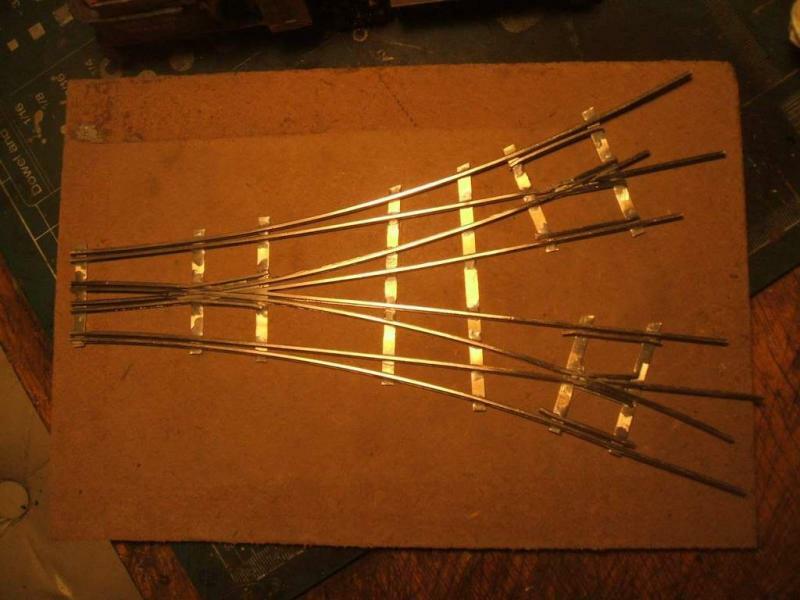 Freerails > Model Railroad Forums > Technical > Herbs Funky 4 Way ! ! ! ! Herbs Funky 4 Way ! ! ! ! Si, Bill Clinton does "cigar scale". I have hired several out of work NASA scientists to come up with a solution for direction control. Just call it "rocket surgery" and go from there. Pam says the Jack is in the trunk of the car...next to the spare tire. Had a alcoholic Uncle way back who would hide a bottle in the toilet water tank. Kept it cool as well as "safe"
... & move them over here to 'Technical', from the various other Forums they may have been 'lost' in. ... it's just the size of the parts that varies. Any turntable Threads & similar things are getting bumped over here to 'Technical' also. ... come visit 'Technical' ! DAMN ! ... That FOUR WAY !!!! sure is FUNKY ! Herb Kephart wrote: Had a alcoholic Uncle way back who would hide a bottle in the toilet water tank. When I was in High School, a smart guy drained one of the water tanks, and hid a booklet with info for the exam there. During the exam that lasted for several hours he sneaked out to check his booklet. In the meantime, someone had used the toilet, noticed the closed water plug and had opened it.